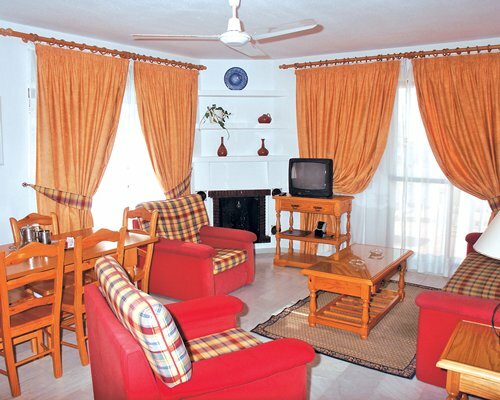 The charming pueblo-style apartments of Pueblo Evita Club are situated in the heart of the Costa del Sol at Benalmadena. The beach is less than a mile away, and children will enjoy the Tivoli World Amusement Park and the Aquapark, both of which are within minutes of the resort. On site there is a clubhouse, restaurant, some bars, and a grocery store. 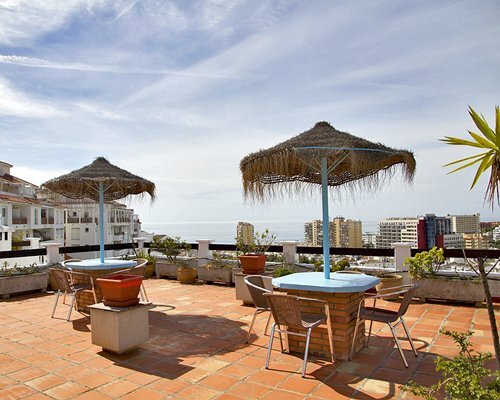 The shops, bars, and restaurants of Benalmadena are within walking distance. The elevated position of some of the apartments (only accessible by flights of steps) can cause difficulties for older or disabled guests.